Phinnie is the newest member to our Medium Dog Program. She's only four months old, so she still has some growing and maturing to do. As she gets bigger and gains more energy, she'll probably graduate to our Large Dog Program. 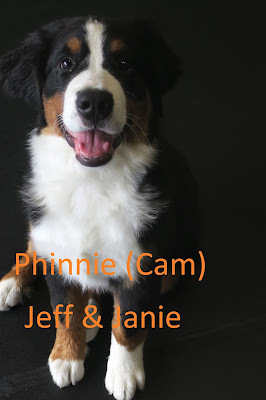 Phinnie is a Bernese Mountain Dog, and only weighs thirty one pounds; females usually reach anywhere from 79-110 pounds! This girl passed her assessment with flying colors... She came in here alert, and ready to mingle and meet! We were able to capture her in action-playing with some of her new friends.